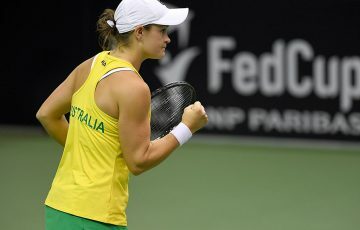 Casey Dellacqua has won her first title outside of Australia in almost five years, defeating fellow Aussie Monique Adamczak in the Fukuoka ITF final. Casey Dellacqua has won her first title in 2012, clinching the ITF $50,000 event in Fukuoka, Japan. Dellacqua improved as the week progressed in the Japanese city, capping it in style by defeating compatriot Monique Adamczak 6-4 6-1 in the final. With the win, Dellacqua returns to the top 100 (at No.96) for the first time since early 2009. The Western Australian tweeted that it was tennis great Roger Federer who inspired her throughout her time in Fukuoka, the reason she altered her racquet string configuration during the week. “Heard Federer puts gut in the mains & poly in the crosses when he plays on grass. I played on (synthentic) grass this week in Japan and so I copied him … And I won the tournament,” she wrote. 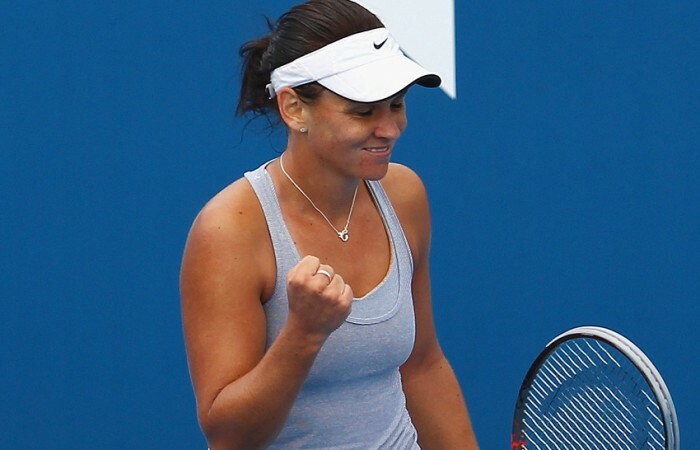 Although she struggled early in the early rounds – stretched to three sets in her first two matches against opponents ranked outside the top 400 – Dellacqua rebounded impressively, brushing aside Austrian Nikola Hofmanova in straight sets in the quarterfinals. She then avenged last week’s defeat at the ITF event in Gifu, Japan to Saisai Zheng, beating the Chinese up-and-comer in straight sets to take her place in the final against world No.232 Adamczak. While it may not serve as typical preparation for Roland Garros, Dellacqua headed for Japan – one of her favourite countries – to gain match practice ahead of the year’s second major. 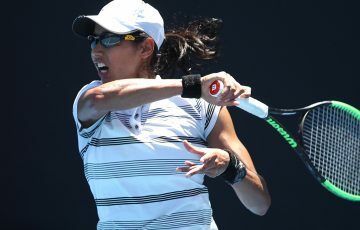 Apart from her appearance in the doubles rubber during Australia’s Fed Cup victory over Germany in Stuttgart, the Western Australian had not played since Indian Wells in early March, returning to Australia to recharge and train after an intense schedule of events dating back to late 2011. Dellacqua will now head to Prague to contest a $100,000 ITF event on red clay, where she has drawn No.3 seed Barbora Zahlavova-Strycova in the first round. She will get two weeks of practice on the red dirt before the French Open kicks off on 27 May.